Below: Since the last post on this site, rather a lot has been happening. We start with the arrival of Kerr Stuart 0-4-0WT No.721 of 1901, ex Dundee Gas Works and formerly displayed (where it was cosmetically restored) as part of the Narrow Gauge Railway Museum collection at Tywyn. 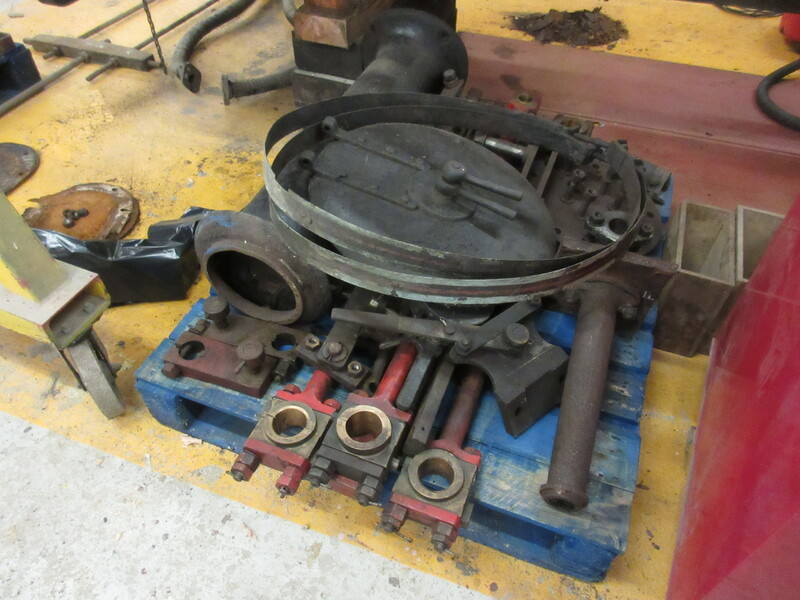 Now on loan to us, initially for display, there are some thoughts that this tiny locomotive could be overhauled at some point in the future, depending on volunteer resources (currently progressing Glyder). 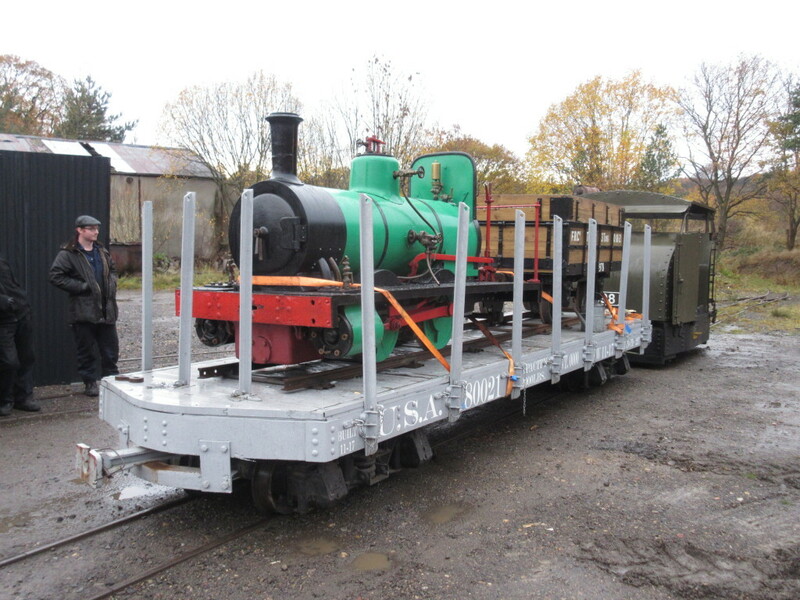 It is a rather charming little locomotive, currently sans sandboxes which were so large they altered the appearance considerably. 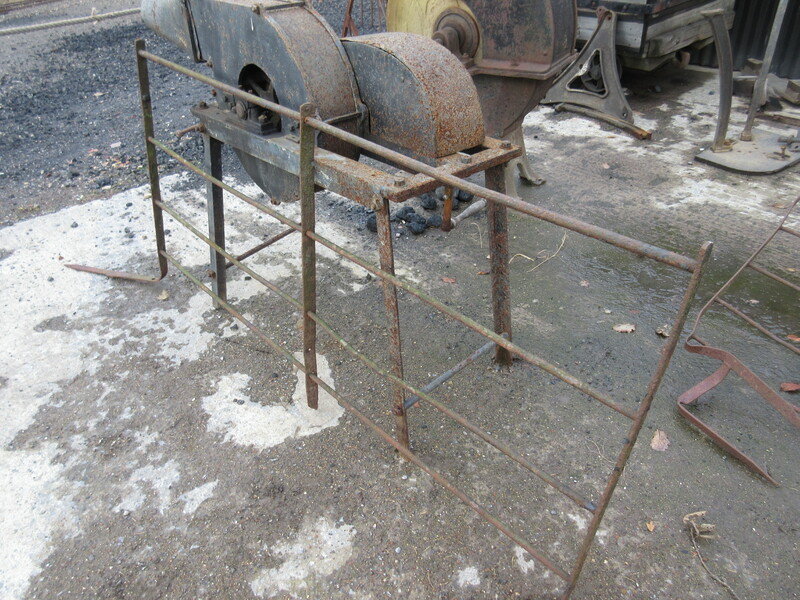 It will be on display next April at the Great North Steam Fair. Below: Another new arrival, in working order, is this 40HP ‘Protected’ Simplex of WW1 origin and on loan to us from the National Railway Museum. 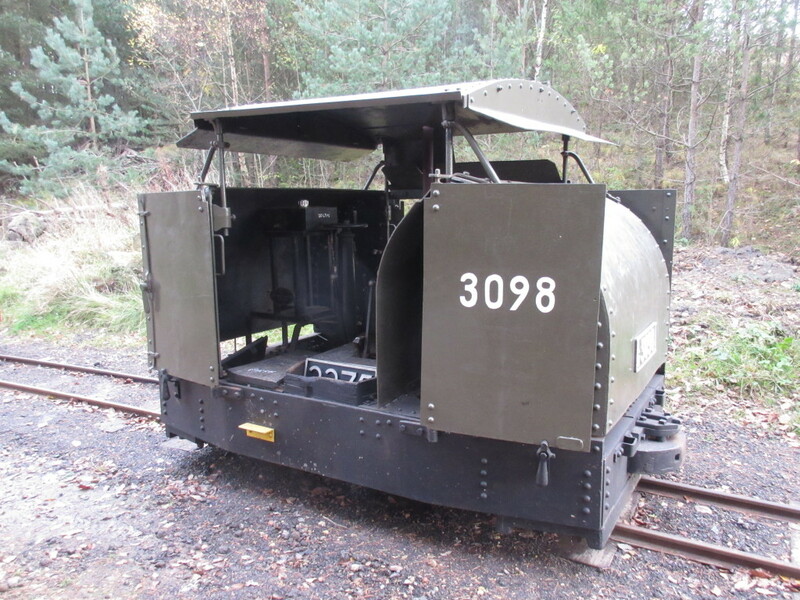 We have seen a number of these locomotives at Beamish in recent years, and this one includes the armoured plating that was one of the three variants offered – Open/Protected/Armoured. 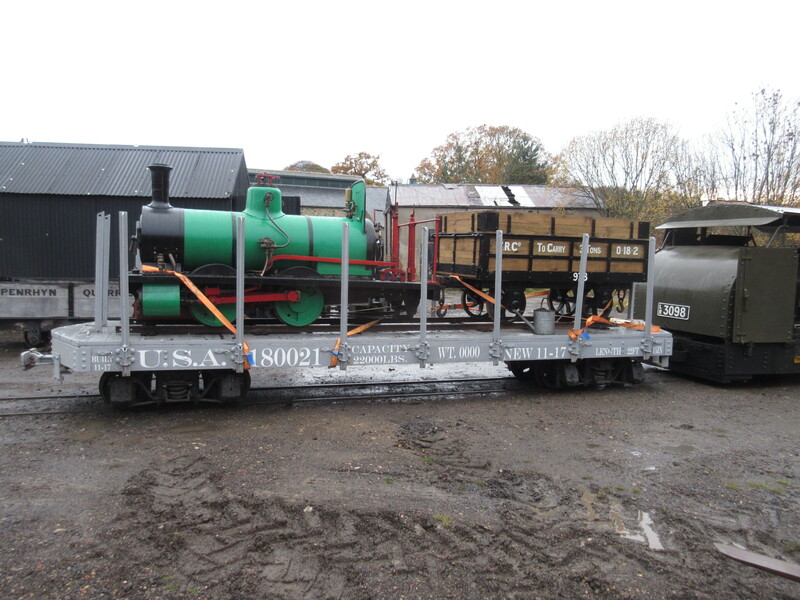 This locomotive will be with us initially for five years and arrived from the NRM at York last month. 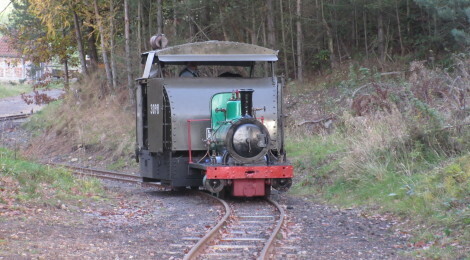 Below: LR 3098 is seen shunting, then propelling 721 as part of their placement into winter positions on the narrow gauge railway. 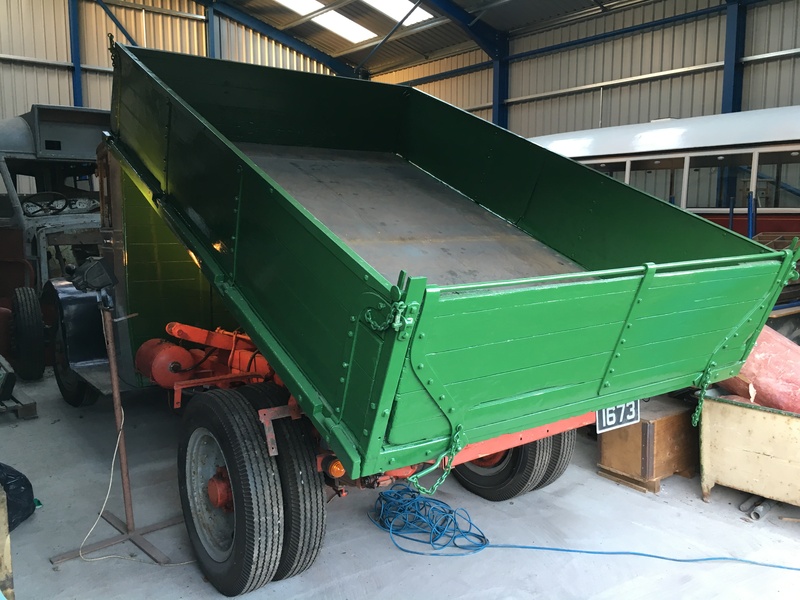 Below: In the RHEC work on Glyder is also advancing, with cleaning and scraping work completed and the well tanks painted internally prior to testing for water tightness. Below: Pallets of cleaned items awaiting refitting following inspection or repair as required. 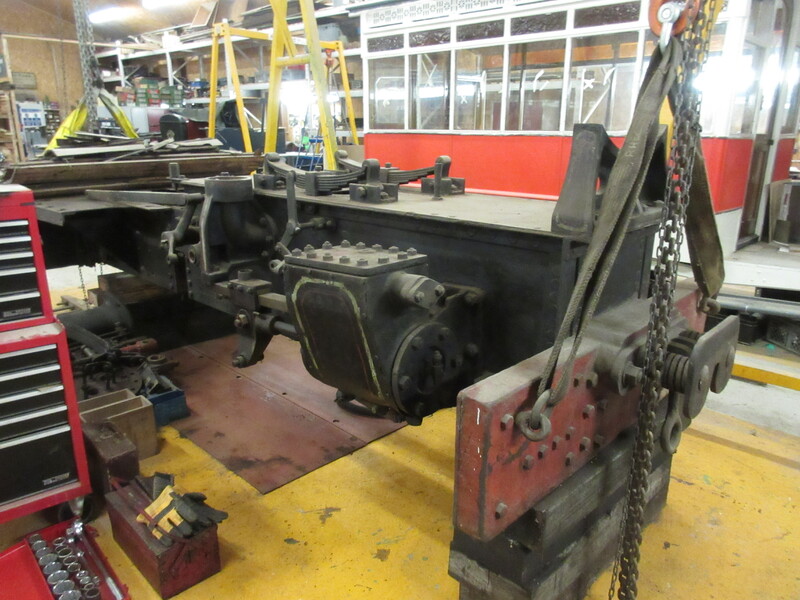 Below: Dismantling the pistons revealed the general soundness of the locomotive, and the resolve to retain it in as close to Penrhyn condition as possible is undeterred by what has been discovered. 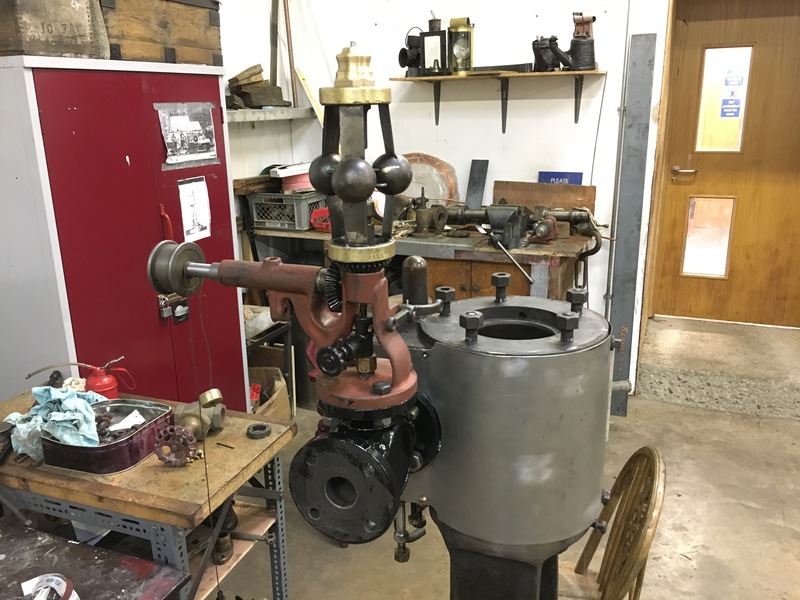 Below: The valve chests have been opened up for examination and the valves removed, along with the pistons, glands and followers etc. 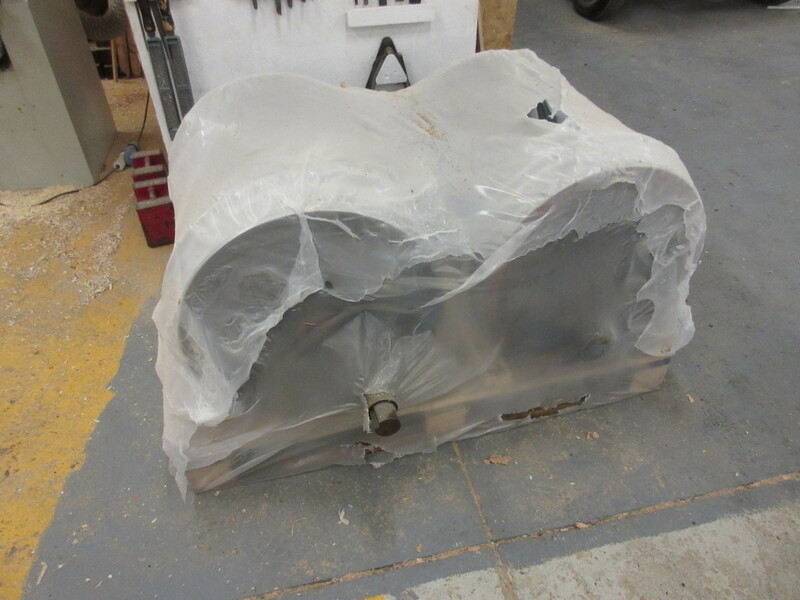 The slidebars will be brightened up, but not re-machined, as the wearing surfaces appear to be in good enough condition for our purposes. Note the patina on the components that we are so keen to retain. 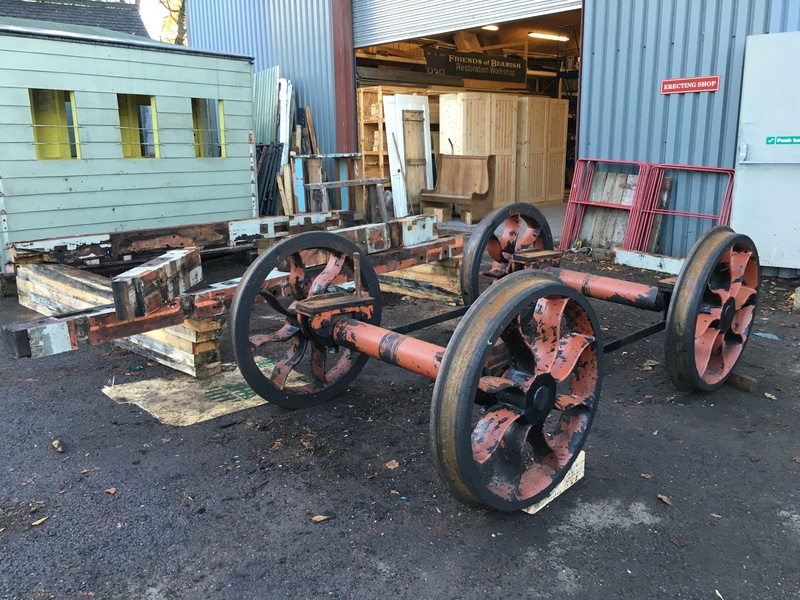 Below: The refurbished wheelsets have arrived back at the RHEC and will soon be re-fitted, the rolling chassis then being built back up over the winter in readiness for the boiler, whose progress has temporarily halted but we anticipate making headway with soon. Hopefully with a fair wind we will see Glyder in operation again by next summer. 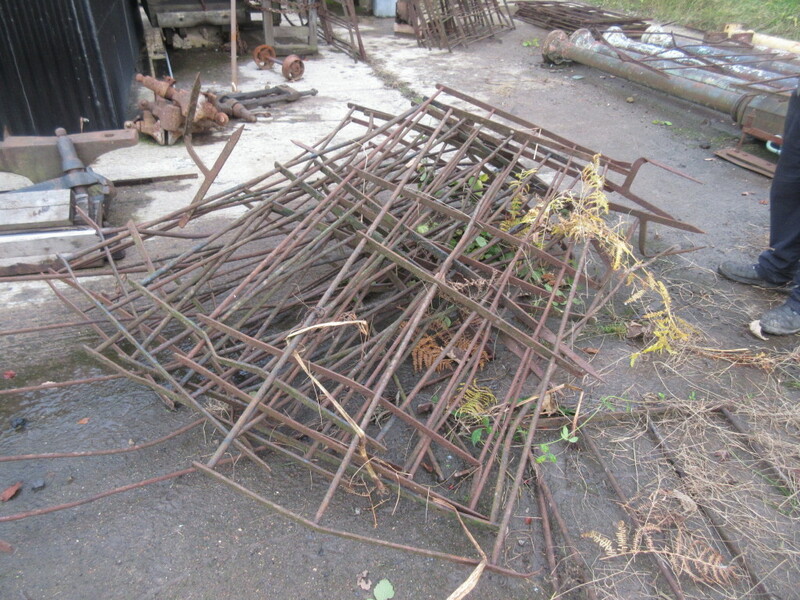 Below: To reduce rope or post/rail fencing in the Colliery area, the rather unpromising heap of leftover estate fencing is being examined with a view to using this to create some more period and site-appropriate fencing in the area around the boilerhouse. 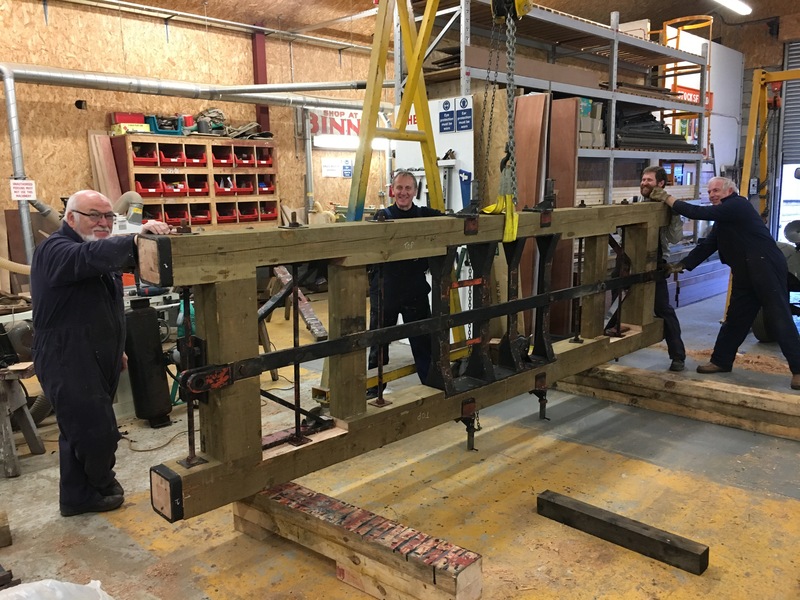 At present, hopes are not high, as these photos suggest, but we think with some straightening and a revised anchoring method, these panels will provide sufficient fencing for our purposes. Below: Still plenty to sort through! 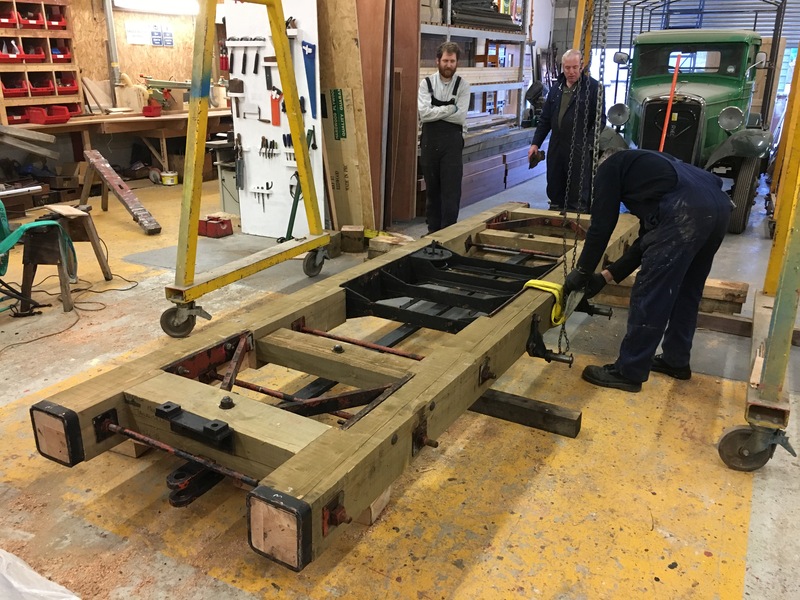 Below: The dismantling of the Waggonway coach ‘Experiment’ has been rapid, with parts being transferred across to the new chassis to enable this to be completed ahead of the new-design bodywork being built over the winter. 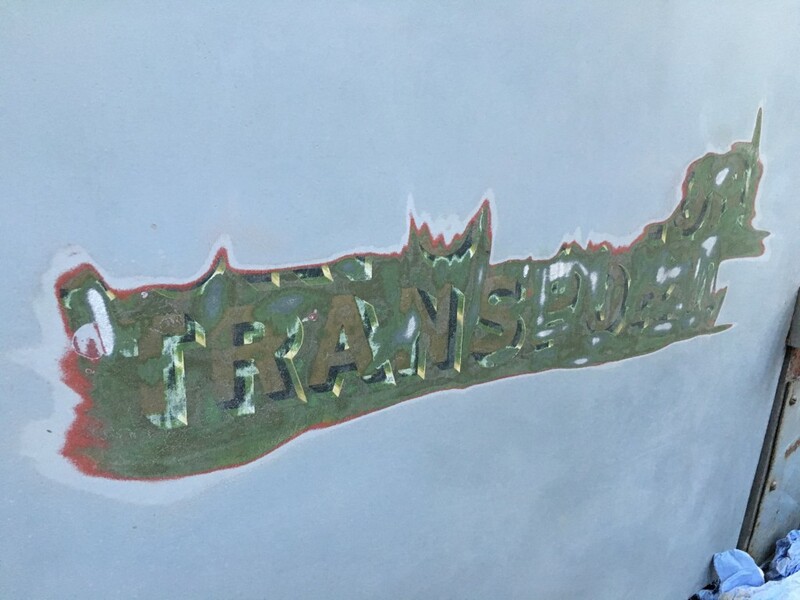 Steam cleaning removed the years of accumulated grease and grime plus most of the paint! 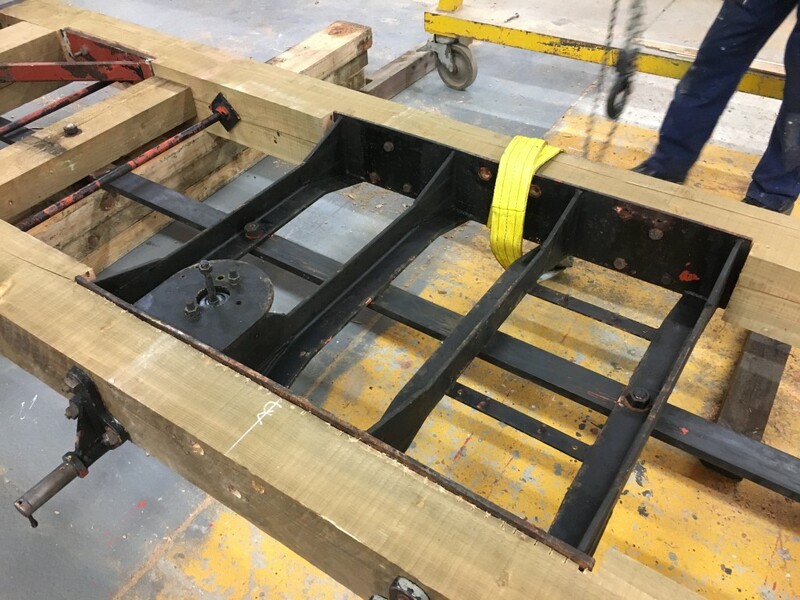 Below: The new Douglas Fir chassis rails being prepared for assembly. 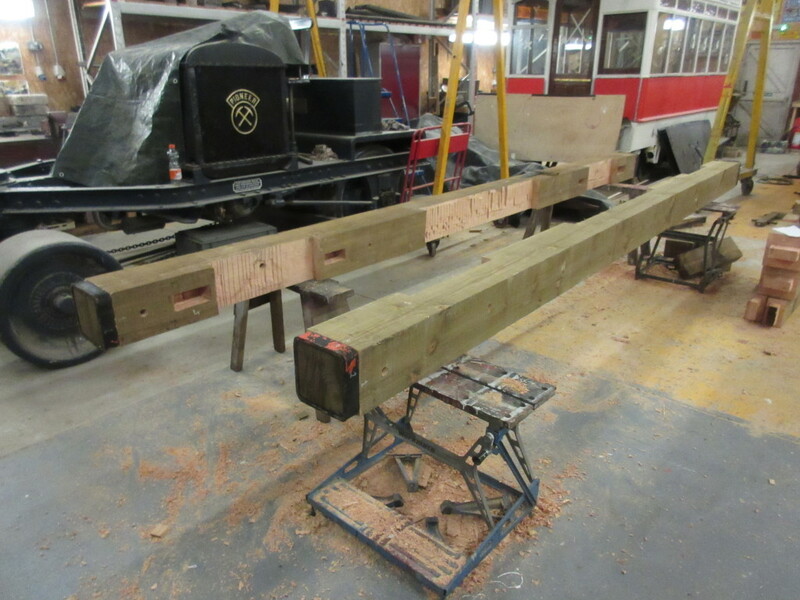 Below: The assembled chassis being turned over to enable the air brake pipework to be fitted. With so much reinforcing steel the weight is not inconsiderable. The saddle to carry the air brake equipment is also show to good effect. 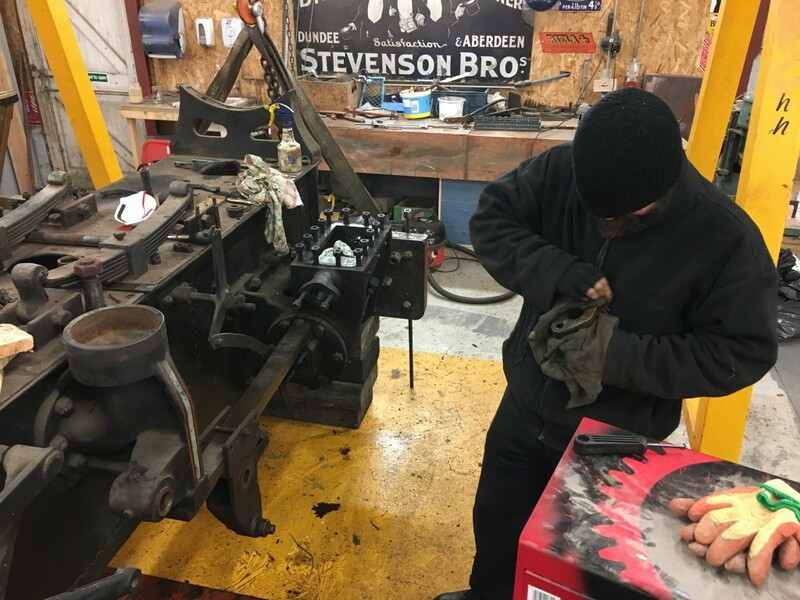 Below: Dave has been busy overhauling and making missing parts for the Pickering governor for the Brightside engine, which will be used to power the blacksmith’s forge air blower in due course. 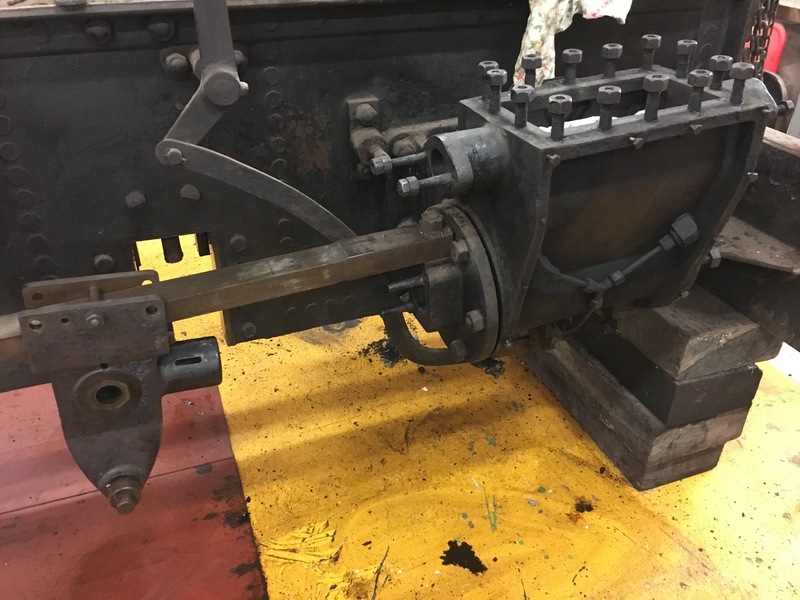 Dave is also overhauling parts for Glyder as well as assisting with other works that are arising around the RHEC at the moment. Thanks again for an excellent bulletin. 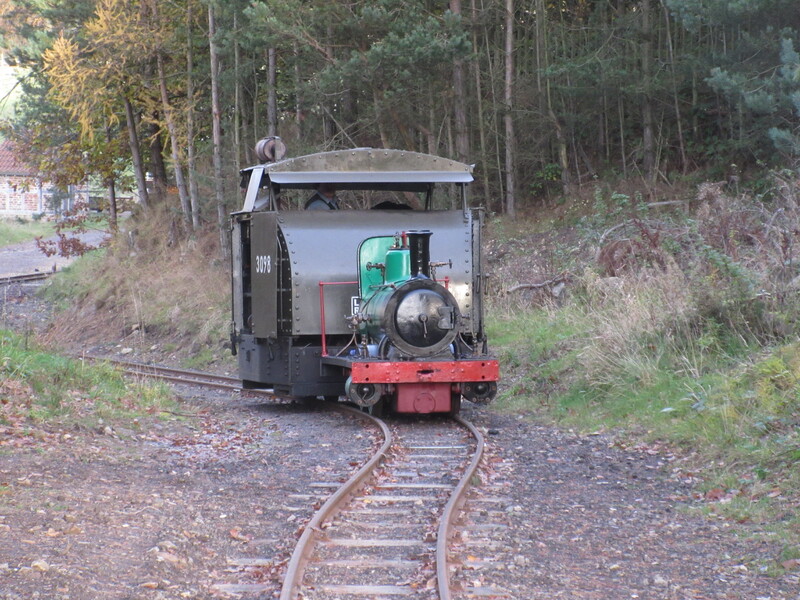 I would never have guessed that the former Dundee Gas Works well-tank would emerge from Tywyn Narrow Gauge Museum. 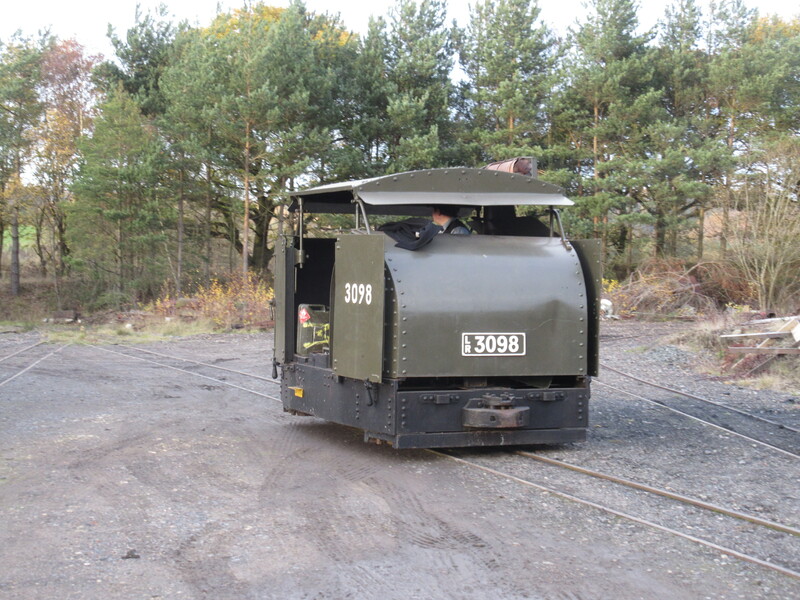 There again, there have been lots of transport ‘happenings’ at Beamish that I could’nt have anticipated over the years. Well done! – again. 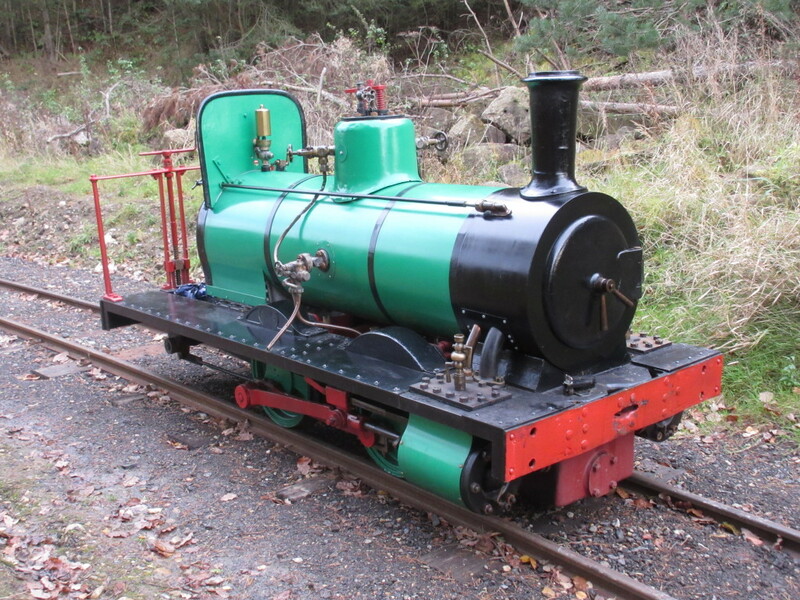 hi paul , i was just wondering when glyder’s overhaul is complete will it be returning to work at beamish or will it move off to a narrow gauge heritage railway?